Developer workspaces builder Codenvy, the leading commercial supporter of Eclipse Che, is partnering with Bitnami, the leading library for open source server application deployments, to create "one-click" programming stacks to simplify the developer workflow for common frameworks. These programming stacks will provide instant access to Dockerized developer workspaces, eliminating the need to install, set up, and configure IDEs, Docker image, and frameworks before writing code. The current list of integrated frameworks includes Express, Play, Swift, Symfony, Codeigniter, Laravel and Rails. 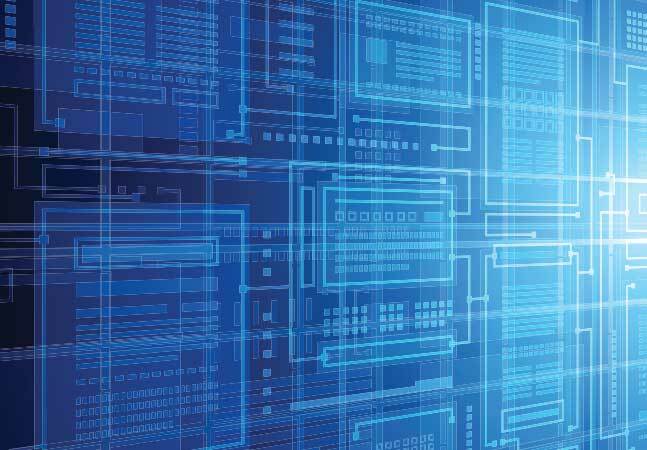 "What we've done here is to integrate Che, a developer workspace server and cloud IDE, with certified Bitnami stacks for these popular developer frameworks," Tyler Jewell, Codenvy CEO and Che project lead, told ADTmag. "We're providing one-click environments so that that developers can get these development environments set up instantly, without any configuration or overhead. And the tutorials around developers and learning those frameworks is built in. Now developers at any level -- novices or experts -- can try out what will be dozens of different frameworks on Docker without having to know much about Docker." Codenvy's namesake product is based on Che, an Eclipse development platform that embeds runtimes and a cloud IDE with workspaces. Che was Jewell's brainchild, born out of his frustration with the traditional process of installing and configuring dev tools. "The basic question for me was, why aren't developer environments reproducible?" he said. "We have VMs and clouds. It seemed to me that this was a solvable problem." Jewell's four-year-old company contributed the original Che codebase to Eclipse, and the project was officially unveiled as an Eclipse project in March of this year. The Che community is supported by Microsoft, Red Hat, SAP, Samsung, WSO2, SmartBear and others. Since it was unveiled in, the project has attracted more than 100,000 downloads, Jewell said in an earlier interview. Matching Che with Bitnami was a logical next step, Jewell said. Bitnami's sponsoring company, BitRock, calls it "an app store for Web applications." It allows developers to deploy apps with native installers as virtual machines or in the cloud. "Bitnami will contribute and maintain dozens of new programming stacks to Eclipse Che representing the world's most popular development frameworks, and Codenvy will provide stack customization and certification of Bitnami images to Eclipse Che," Jewell explained. "All configurations will be launched using the latest Che integration technologies, with Bitnami Docker images embedded in Codenvy and Eclipse Che cloud workspaces for one-click startup." Eclipse Che is part of a larger Eclipse Foundation initiative. In 2014 the Foundation unveiled Eclipse Cloud Development (ECD), which aims to create an open source community focused on cloud development. The ECD is a top-level project today, comprising several others, including Eclipse Orion, a browser-based open tool integration platform; Eclipse Flux, a new message-based architecture for cloud-based developer tooling; Eclipse Dirigible, a cloud development toolkit providing development tools and runtime environment; and Eclipse Che.